style is style: Come On, Get Happy! 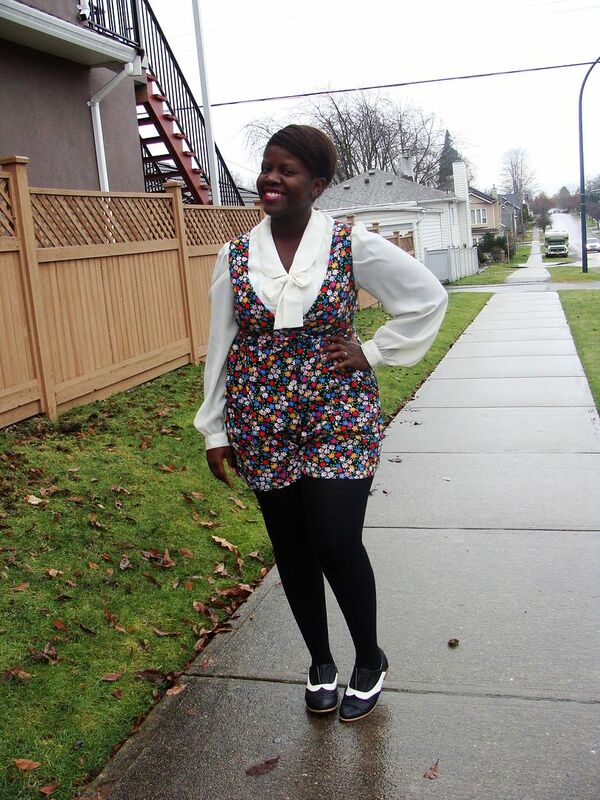 Oh that blouse is too good--peter pan collar and a bow?! I love how you layered it under that colorful romper too! If I wore that romper, it'd be hard not to be cheered up hehe :) Always inspirational, Lydia! That romper is perfect!!!! I cant believe you thrifted that! That is like the ultimate find! I would want to wear it everyday too! You look beautiful! Super cute outfit. 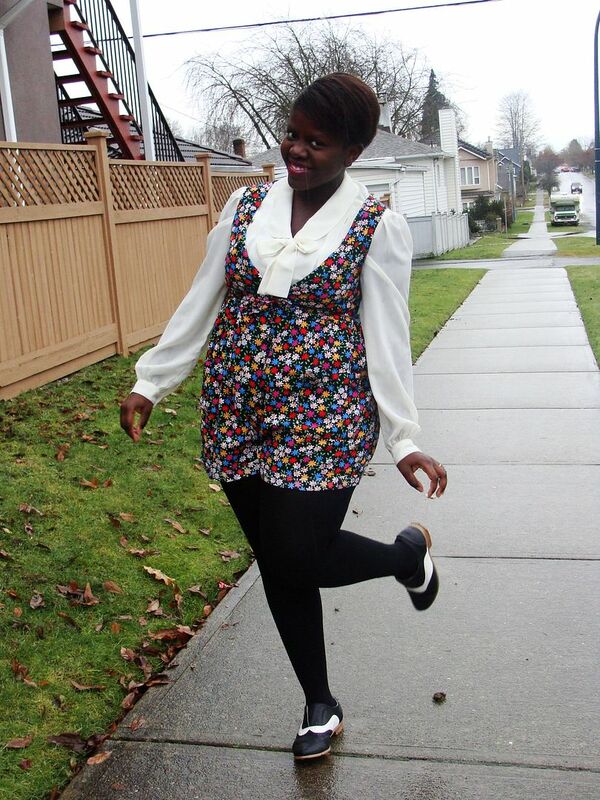 Love the romper and oxfords! 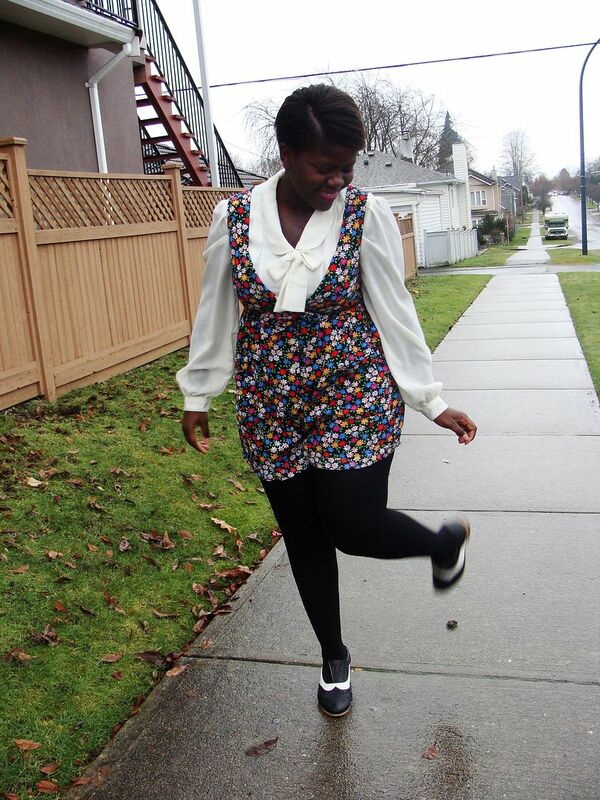 ooh that romper is too wonderful and it looks so good with that blouse! Ah, this is so adorable! Your shoes are wonderful and the color of your blouse is too perfect. Seriously, how do you find such awesome things in thrift stores?! I love that little playsuit, such a cute floral. And the pussybow blouse with it add a bit of elegance. Gorgeous outfit, as always, but I would freeze my arse off if I tried the same combo in London right now, brrrr! Yes, that romper is definitely a get happy piece of clothing. You look gorgeous!